The Buddy LaRosa high school Sports Hall of Fame was established in 1975 to recognize outstanding athletes from area high schools. Each year, nominees are considered based solely upon high school accomplishments. Collegiate, professional, or other amateur achievements have no bearing on the selection process. The nominee must have graduated high school 10 years before eligibility may begin. View the 2012 Hall of Fame Inductees. View the 2011 Hall of Fame Inductees. View the 2010 Hall of Fame Inductees. View the 2009 Hall of Fame Inductees. View the 2008 Hall of Fame Inductees. View the 2007 Hall of Fame Inductees. View the 2006 Hall of Fame Inductees. View the 2005 Hall of Fame Inductees. View the 2004 Hall of Fame Inductees. One of the more accomplished women's college basketball coaches in Ohio, Mark Ehlen can trace his success to his brief, but remarkably successful start in Cincinnati as the head coach of the Forest Park Lady Chargers. In just five seasons, Ehlen compiled an amazing 100-18 overall record (.847) and led Forest Park to the 1984 Ohio Class AAA state championship. The victory – a dramatic 48-47 overtime win over Canton McKinley – gave Greater Cincinnati its first ever big school girls state title. The team went 28-0 that season and it proved to be the school's only state basketball title. (Forest Park later merged with Greenhills to become Winton Woods High School). Ehlen's high school accomplishments were duly recognized for their magnitude. He was named Ohio Girls Basketball Coach of the Year in both 1983 and 1984, Cincinnati Girls Basketball Coach of the Year twice by The Cincinnati Enquirer (1983 and 1984) and Hamilton County American League Coach of the Year four times (1982-85). He was inducted in the Cincinnati Women's Sports Hall of Fame in 1986, and was inducted into the Cincinnati Basketball Hall of Fame in 2001. The state title – which Mark still ranks as his greatest coaching memory – catapulted him to a successful collegiate career. 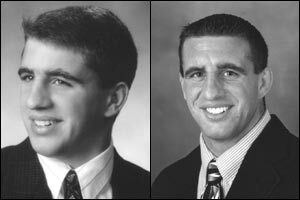 Ehlen went from Forest Park to the University of Dayton as an assistant coach for one season, then moved on to become the head coach at Xavier University (1986-1995). 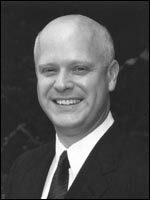 He assumed his current position as head coach at the University of Toledo in 1995. Going into this season, Mark had compiled a 312-211 collegiate coaching record. He was 122-130 at Xavier, and compiled a 190-81 at Toledo going into the 2004-05 season. His teams have gone to the Women's NCAA Tournament five times (once with XU in 1992-93), and has participated twice in the Women's NIT. The Rockets have won three regular season Mid-American Conference championships, four West Division titles and four MAC Tournament Championships during Ehlen's career. Ehlen's teams excel in the classroom as well. The Rockets have ranked in the Top 10 in the nation four times for Team GPA by the Women's National Basketball Coaches Association. Mark has been named MAC Coach of the Year four times and was named NCAA District 4 Coach of the Year twice. Mark lives in Sylvania, Oh with his wife, Mimi, and seven-year old daughter, Eliza Jane. Without question, Don Hasselbeck is the finest all-around athlete in La Salle High School history. He earned 13 varsity letters with the Lancers and was inducted in 1995 as a charter member of the school's Hall of Fame. Don, who graduated from grade school at 6-foot-4, went on to become a Parade High School All-American in football, a collegiate All-American at the University of Colorado, and enjoyed nine seasons in the National Football League with New England, the Super Bowl champion Oakland Raiders, Minnesota and the New York Giants. Hasselbeck was a two-way starter as tight end and defensive tackle at La Salle where he started for four straight seasons. Only partial statistics could be discovered on Hasselbeck, but he was an all-city selection in both football and basketball as both as junior and senior. He set a school record for 32 receptions for 416 yards as a junior at La Salle. Don was also a four-year starter in track. As an indication of his outstanding athletic ability, as a 6-foot-7 sophomore, he actually won the Greater Cincinnati League high jump title! Heavily recruited in football, Hasselbeck selected the University of Colorado where he became a full-time starter at tight end with two games left in his freshman season. He finished his collegiate career with 50 receptions for 612 yards and three touchdowns. He was first team all Big Eight as a junior and senior, and was Sporting News First Team All-America as a senior, second team All-America by United Press International, Associated Press and the Newspaper Enterprise Association. He played in the Orange Bowl, the Hula Bowl and the College Bowl (in Tokyo). Selected in the second round of the NFL draft by New England, Don played seven years with the Patriots before being traded to Oakland in 1983, where he went on to be a member of the Super Bowl Championship team. Overall, he played in 123 games and had 107 receptions for 1,542 yards and 18 touchdowns. Currently, Don, Senior Director-Footwork for Reebok International, lives in Norfolk, MA with his wife Betsy. They have three sons – Matthew (29) – Pro Bowl QB for Seattle Seahawks, Tim (26) – backup QB for Washington Redskins, and Nathanael (23). In Ohio's hallowed high school football annals – there is simply no one better than Terry Malone. That says it all. Upon his retirement after 45 years of coaching at Hamilton Catholic and Badin High Schools, Terry amassed a career record of 360-177-8 – the most victories in Ohio high school history, and 10 th all-time in the nation. During his career, Malone's team captured the 1990 Division III state championship and was runnerup in both 1978 and 1980. 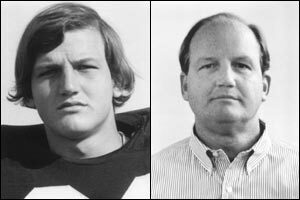 Along with his 16-6 victory over Richfield Revere for the state title, Malone achievements have included triumphs over two of Ohio's greatest coaching legends and LaRosa Hall of Famers – Roger Bacon's Bron Bacevich (1972) and Princeton's Pat Mancuso (1969). One of Malone's favorite stories was the third game of his career – his first home game – when he recalled an older female fan deriding his coaching and insisting he would not be back for a second season! “I guess I fooled her a little bit,” he says, chuckling. Terry went on to post a 63-12-1 record at Catholic which merged with Notre Dame High School to form Badin in 1966-67. In 38 years with Badin, the Rams were 280-90-7 in regular season play, and 17-15 in postseason. Malone posted seven unbeaten/untied seasons, one 8-0-2 mark, and 14 teams that lost just one game. The Rams reached the playoffs 16 times. 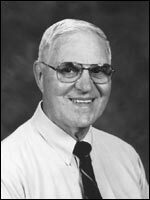 In addition to being head football coach, Malone was also Dean of Boys, Athletic Director and taught American History for 47 years at Badin. He has been inducted into numerous Halls of Fame, including the Ohio High School Football Coaches Association Hall of Fame; and he has received a four Lifetime Achievement Awards, including from the National Football Foundation and the Ohio High School Athletic Association. In the spring of 1981, not many people in Kentucky paid much attention to Simon Kenton High School out of Northern Kentucky. After all, why should they? No team out of the Ninth Region had ever won the Kentucky State basketball tournament. Surely, very few fans had heard of Troy McKinley. Over the course of the next four days, Troy McKinley and the Pioneers would re-write Sweet Sixteen history and to this day the 1980-81 Simon Kenton team is the only team from Northern Kentucky to win the state tournament. McKinley, who would be named tournament MVP, willed the No. 12 seeded Pioneers to the title, which culminated in a 70-63 triumph over Mason County High School. The other three victories were decided by two points or less! McKinley scored 117 points in the tourney and, recently, was picked for the Sweet Sixteen all-time "Fabulous 50" team. The historic accomplishment was the crowning achievement of what was an outstanding high school basketball career. McKinley, who wound up with a Simon Kenton career record 1,840 point (before the 3-point goal), was named First Team All-State by the Associated Press and United Press International. He was named Player of the Year in 1981 by both the Kentucky Enquirer and the Kentucky Post, and was Famous Recipe Player of the Year. He was also a member of the Kentucky squad for the prestigious Kentucky-Indians All-Star games. In addition to being Simon Kenton's all-time leading scorer, McKinley owns the school's single season Free Throw Percentage mark – 85% for three straight years (1979-81) and holds the school's Highest Field Goal percentage record (62%) in 1981. McKinley was also a stellar tennis player and played No. 1 singles for three years at Simon Kenton. McKinley went on to play for the University of Kentucky, where he was a member of the three-time Southeastern Conference Tournament champions, and 1984 Final Four team. Troy has been inducted into the Kentucky State Tournament Hall of Fame, the Northern Kentucky Basketball Hall of Fame, and Greater Cincinnati Basketball Hall of Fame where he was named the 1980's Player of the Decade. After serving 14 years as a police officer in Lexington, McKinley, currently is attending class at NKU to become a teacher. He lives in Florence with his wife, Donna, and children Brittany (16), Victoria (6) and Abbigail (2). Quite possibly one of the finest pitchers to come out of Cincinnati in the last 50 years, Claude Osteen went from Reading High School to enjoy an 18-year career in the major leagues. Osteen, who moved to Reading from Tennessee as a sophomore, totally dominated high school baseball during his three-year varsity career. Osteen also played basketball for two seasons for the Blue Devils, but concentrated solely on baseball as a senior. And it proved to be a magic year for him. The 1957 season will go down in Reading and Ohio High School history as one of the finest pitching seasons ever recorded. The Blue Devils captured its first state championship in any team sport, largely behind Osteen, who did the unthinkable in today's prep game. The left-hander pitched back-to-back shutouts in the regional tournament – on the same day! Osteen, 23-1 overall in his prep career, went 16-0 as a senior. He pitched 103 2/3 innings with an incredible 221 strikeouts. He allowed just two earned runs for a 0.13 Earned-run-average (based upon 7 innings pitched per game). He walked just 20 batters and gave up only 32 hits. Going into the 2005 prep baseball season, both his ERA and his strikeouts rank No. 1 in Ohio history, while his 20-strikeout game is tied for fifth best ever. Osteen still holds five Reading single-season school records – most hits (41), innings pitched, most wins, most strikeouts and lowest ERA. He ranks 1-2-3 in single game strikeouts (20-17-17), and second in single-season runs scored (31). With such success, it was easy to understand how he would sign with the Cincinnati Reds right out of high school. 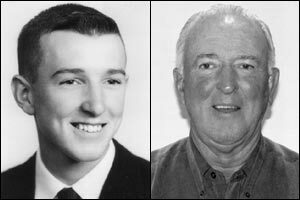 And while most people in Cincinnati remember Joe Nuxhall pitching for the Cincinnati Reds as a high school student, Osteen actually pitched for the Reds following his graduation – throwing 4 innings in three games in 1957! Osteen went on to pitch for six different teams in the major leagues over an 18-year career. He posted a 196-195 record with 3,460 1/3 innings pitched for a 3.30 career ERA. His finest years came with the Los Angeles Dodgers (1964-1973) where he won 152 games, including 20-win seasons in 1969 and 1972. He won 15 games as part of the 1965 World Championship Dodgers' team. A four-time All-Star in his career, Claude went on to become a minor league and major league pitching coach through 2003. Claude Osteen, currently living in Arlington, TX with his wife Jackie, is a consultant for the Arizona Diamondbacks. Claude has five children – David, Brian, Erick, Gavin and Jennifer. 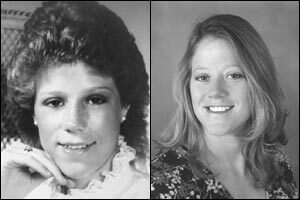 A dominant force in Class A athletics in Northern Kentucky during the early 1980s, Maureen Shea Kaiser earned 11 varsity letters, won two state championships in track, and garnered numerous honors in volleyball and basketball during her storied career at St. Henry High School. As a testament to her athletic talents, Maureen was one of only four prep females in the nation to be honored with the Milky Way/Women's Sports Foundation Award in 1985. As a sophomore she won the state title in the high jump – still one of her most favorable memories, was state runner-up as a junior in both the high jump and 1600-meter relay, then came back to win the long jump state title as a senior. A three-year letterman in basketball, Maureen was an All-State honorable mention as a junior and was named recipient of the U.S. Army Reserves National Scholar/Athletic Award. She was named to the Ninth Region All-Star team as a senior and was picked for the East/West All-Star game. Clearly, however, her greatest sport was volleyball. Twice she was named Northern Kentucky Athletic Conference Player of the Year and the Northern Kentucky Girls' Coaches Association All-Region team. NAMED KENTUCKY POST/ENQUIRER POY? She earned a full scholarship to the University of Notre Dame, where she was a four-year letterman. Maureen was named ND's Team Captain and MVP in 1988 and still ranks in the top ten in three Single Season records and eight Career records, including #2 all-time in Solo Blocks (129). Inducted into the Northern Kentucky Athletic Directors Hall of Fame in 1996, and St. Henry High School's Hall of Fame (2002), Maureen returned to coach her alma mater in volleyball in 1991. Named NKAC Coach of the Year three times, Maureen – whose career record is 337-195 – guided St. Henry to its first Ninth Region championship this past fall. Maureen and her husband, Marty, currently live in Florence, along with sons Blake (6), Tyler (2/3 in June), Ethan (6 months in June). 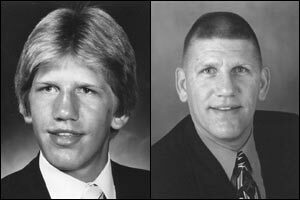 When Willie Wineberg walked off the mat at St. John's Arena in 1994, having defeated St. Xavier's Shawn Rockey for the 125-pound state wrestling title, he had accomplished what no other Southwestern Ohio wrestler had achieved. Four straight state championships! In the 10 years since, no one from the Cincinnati area has come close. Wineberg, who at the time was the first Division I wrestler to win four straight championships, is the first wrestler to be inducted into the LaRosa's Hall of Fame, and a rare first-ballot inductee. He was named LaRosa's Male Athlete of the Year in 1994. In four seasons at Fairfield, Wineberg compiled an incredible 144-2 record and won his last 118 matches in a row. The honors that poured in demonstrated the magnitude of his accomplishment. Willie was named a member of the High School All-America Dream Team; he was selected for the Ronald L. Garrison Award, emblematic of the USA High School Wrestler of the Year. He was named Wrestler of the Year by the Cincinnati Enquirer, Cincinnati Post and Hamilton Journal four straight years. As an amateur, he competed throughout the world. He was USA Cadet National Champion, placed 10 th in the Cadet World Championships and finished 7 th in the Junior Nationals All-American meet. Willie, who also ran cross-country for the Indians for three years and compiled a 3.87 GPA, wrestled collegiately at Purdue University where he ranks third all-time in career winning percentage. A two-time NCAA qualifier, Wineberg was a four-time Big Ten and NCAA All-Academic All-American as well. He went on to be Pan Pacific Game champion and USA Espoir National champion. Wineberg, currently living in Miamisburg, teaches and is the head wrestling coach at Miamisburg High School.